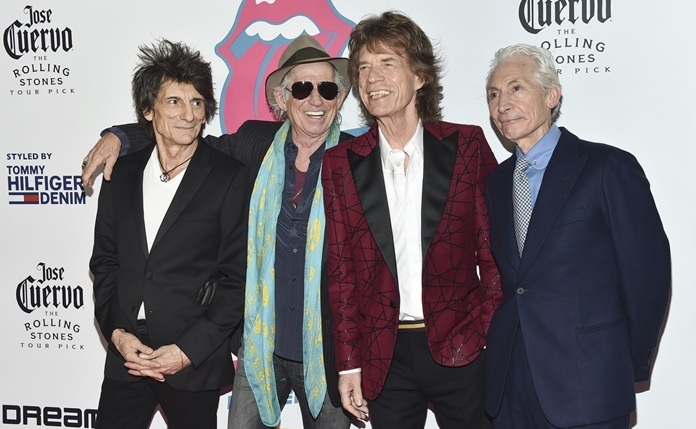 New York (AP) – When Mick Jagger was coming up with ideas for an exhibition highlighting The Rolling Stones’ five-decade long career, he wanted to re-create the mood of the band in its early years. So, he had a team re-create the first London apartment he and his band mates shared in 1962, complete with dirty dishes, beer bottles and blues records placed throughout the flat. “That was the weirdest thing really. … The building is still there — it’s not a building that’s been knocked down or anything, it’s right around the corner from where I actually live now,” Jagger said. “It’s very redolent of the space … and it smells like it and feels like it. “I just remembered how it really was,” he added. “There were a lot of places like that in the early ’60s … you wouldn’t want to live there now,” Charlie Watts said. The Stones also re-created their recording studio, complete with original instruments, for “Exhibitionism — The Rolling Stones,” the band’s exhibit that debuted at Industria in New York City this month after launching in London earlier in the year. It includes colorful tour outfits, Jagger’s lyric book, Keith Richards’ 1963 diary, Watts’ toy drum kit and various photographs, from posters to magazine covers. “None of it made me cry particularly. Some of it made me laugh,” Jagger said of the memorabilia. The exhibit runs in New York through March 12, 2017. Some of the pieces are works by Andy Warhol, Alexander McQueen and John Pasche, who designed the Stones’ iconic tongue logo. Ronnie Wood, who joined the group in 1975, said he enjoyed seeing the “little motifs” throughout the exhibit, and added that one of his favorite memories was joining the band for his first public performance — on his birthday. “I had to learn the entire Stones back catalog to get ready to go onstage on June 1, my birthday, for my first public show with them,” he said, smiling. Previous articleMick Dundee rides again!